Puppies can get started with grooming right away. Many people think that it is wrong to bathe or brush dogs under six months. They thought that bathing will dry the puppy’s coat or that brushing may be too rough for its age but the truth is it is the complete opposite. Many puppies come from breeders or animal shelters with dirty or smelly coat. A dog bath is needed and it will not harm them in any way. There are numerous shampoos on the market made for sensitive skin. Puppies benefit from these gentle cleansers. It does not harm the skin and as well as the coat. So when the puppy gets dirty, it’s okay to bath them. The generally accepted idea was that frequent bathing of your pet would damage its coat but that is all in the past. Although, may it be past or present that idea hides no truth. It was not until recently that dog’s hair coats were understood more clearly. A normal puppy’s skin and hair is similar to that of humans. Both are comprised of protein that has oil as lubricant. The average puppy needs a bath at least once a week. This helps maintain its hygiene by removing dirt, bacteria, and excessive dander. This also helps in preventing skin-related infections. Specially made shampoos are designed to cater the needs of puppies. Begin by brushing or combing the coat to remove dirt, dead hair, mats and burrs. Next, apply a sterile eye ointment that serves as a protective film. Use warm water to wet the hair coat all the way to the skin. Then, apply shampoo and lather as everyone normally would. Let the shampoo sit for five minutes, then rinse thoroughly. A thorough rinsing is important for not enough rinsing causes the coat to appear dry. Dry the coat with a towel, allowing the coat to dry at room temperature. If a hair dryer is used make sure it set to cool settings. Dry shampoos are also available for puppies that do not like water. Though the result is not effective as the wet bath. Puppies love when their coats are brushed. It helps in removing dirt, mat, loose hair and stimulates oil glands to produce oil. Brushes that are perfect for puppies are brushes that contain metal pins on one side and soft bristles on the other. The puppy will see brushing as a form of petting. When it gets older, it will not make too much fuss when they are brushed or provided with a pet bath. Nail trimming should be done as early as possible. This is to make them get used to nail trimming when they get older. Puppies have usually active lifestyle so after an initial nail trimming the next you will trim the nails again would be another six weeks. These tips will help you take more care of your puppy. Keep them healthy as they grow beautifully into adults. Grooming your dog should not be traumatizing. Make it fun and safe. 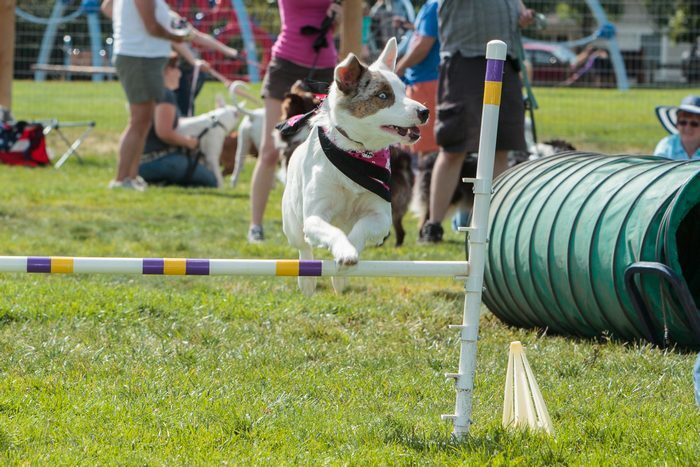 Certain dog breeds may be eager to learn new tricks than others. In fact, if you own some of them, you might want to come up with something new to keep them entertained. 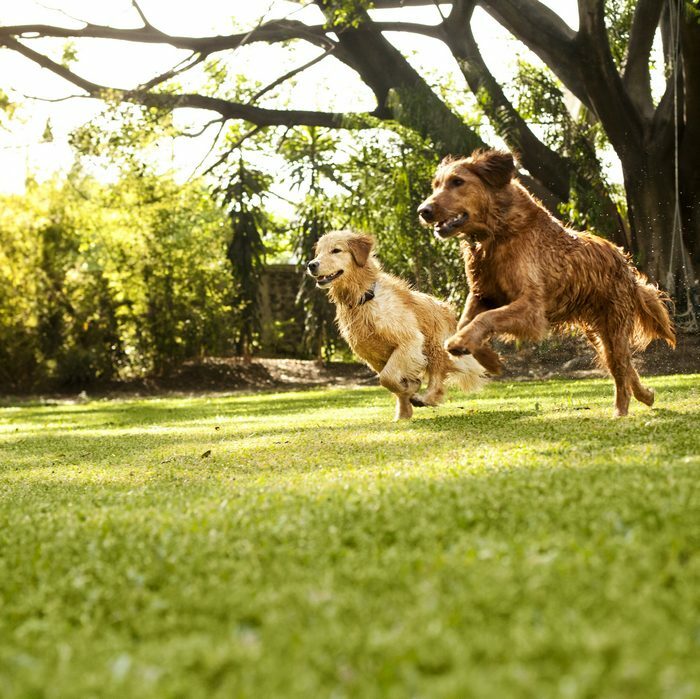 If lead an active lifestyle and you’re willing to devote some time to teach your pet, then you’re probably better off with the most trainable dog breeds. But if you’re too busy, then you should think twice. Generally, these trainable dog breeds have high energy levels and intelligent; so, you shouldn’t expect them to sleep on the couch all day. Here’s a list of the most trainable dog breeds there is. The Border Collie tops the list of the most trainable dogs out there. They are intelligent dogs that like to learn and do new things whenever possible. In fact, they need to do something to keep them happy. The Border Collie is herding dog and it is recently used as a sporting dog as well. This dog breed is popular for its agility, obedience, and speed. It also learns new tricks quickly and it loves working alongside their humans. They are great at dog sport competitions; they are often seen competing in disc games and fly ball. While poodles look cute and adorable, their intelligence and trainability is quite striking; don’t let their curly, fluffy coat tell you otherwise. They are quick to learn new tricks and behavior; from dog grooming to crate training to jumping through a hoop. You may never have known this, but poodles are used for hunting and rescues; and they’re actually water dogs. While they come in different sizes, toy poodles can be used for bird hunting. This dog breed loves to be surrounded by people and is very protective in nature. Often confused with Labrador retrievers, golden retrievers are famous for being friendly and having brains. While they may not be as smart as the Border Collie, their good nature and “eager to please” attitude makes them a fun furry companion and a perfect family pet. Over the years, these dogs have been a companion to hunters. This dog breed can be easily trained to find and retrieve a game that has been shot. With its soft mouth, it can retrieve the game to its owner unharmed. Apart from being a hunting dog, they are also used as rescue dogs, guide dogs, as well as sniffing dogs. A golden retriever’s patience makes them easy to train. Labrador retriever, popularly called as “Lab”, is a versatile dog. It can be used for companionship, shows, hunting, sports, guide, service, sniffer, therapy, search and rescue, and many more. This dog breed originated from Newfoundland and was trained to hunt a waterfowl. Over the years, they were trained to do more jobs. Most of these dogs are used by police authorities for bomb and drug sniffing; a dog that can be trained to do those jobs is undeniably smart. Being a guide dog, they are trained to help those with disabilities, especially the blind. Labs can also be trained to lead the blind around while ignoring any distraction. It is a loving, patient, and obedient dog that can easily be trained to do just about anything. While German Shepherds look all tough and mean on the outside, they are actually among the most lovable dog breeds there is. Today, these dogs are used as police dogs, rescue dogs, and even military dogs. These dogs are very intelligent that the Army and Marines used them in their overseas activities. Aside from being smart, they’re obedient and protective as well. History has it that German Shepherds were used as herd dogs; but today, they are used for other purposes. Although Doberman Pinschers were known to be attack dogs, they are actually a friendly and stable companion when properly trained and socialized. These dogs were trained to be watch dogs, guard dogs, and police dogs. They are loving and loyal, but also tough and ferocious. Even though this is the case, many of them are gentle. In fact, some are used in hospitals for therapy. Rottweiler, also called the “Rottie”, originated from Germany but used in the Roman Empire. It can be trained to be mean and vicious dogs. They are often used as police dogs because of their strong teeth and jaw. Because Rotties are very strong dogs, they can easily take down a human. In the old days, they were used to carry wood and heavy goods from markets to houses (vice versa). If you want to train a dog that will protect you and your home, then you should definitely consider a Rottweiler. 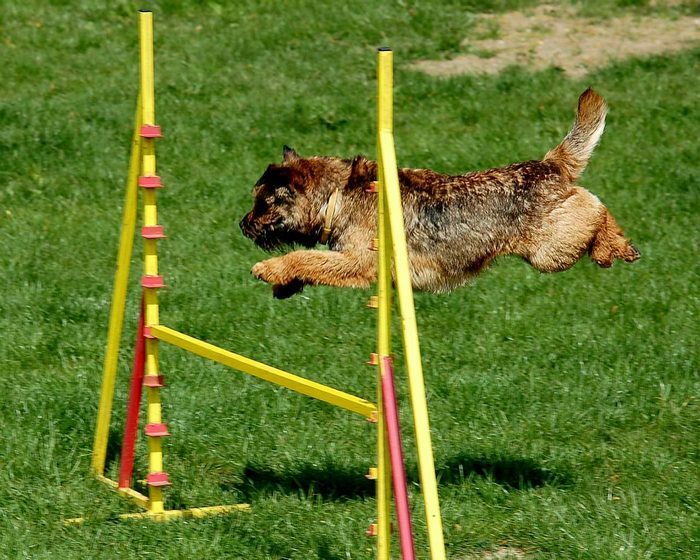 While terrier breeds are known for being difficult to train, the intelligent Border terrier will tell you otherwise. They are quick to learn tricks and behavior, and they easily respond to obedience training. They are energetic breeds that need to be kept engaged. They are really good with children and they are pretty laid-back compared to other terrier breeds. They easily adapt to various living situations and are usually easy to train. They often excel in many dog sports and they can be trained for therapy work as well. Although these dogs are highly trainable, keep in mind that each dog is unique. Thus, your training experience with each of them will vary depending on certain factors like temperament, health, and even your own expertise. So while the dog you brought at home belongs to one of the breeds on this list, it is never a guarantee that they will take learning new tricks and behavior at ease. So take your time and give your furry friends the patience they need from you. Border Terriers are known to be happy furry creatures that have a long lifespan of 10 to 14 years. They are among the healthier breeds because they don’t frequently visit the vet compared to other pure breeds. If you’re planning to buy a puppy, look for a breeder that will show your health clearances for both the parents of the puppy. These health clearances serve as proof that the dog has been tested for and cleared from certain health conditions. But since health problems don’t appear until the dog has fully matured, health clearances aren’t issued to dogs that are below two years old. So, it would be wise if you look for a breeder who doesn’t breed dogs until they’re two or three years old. 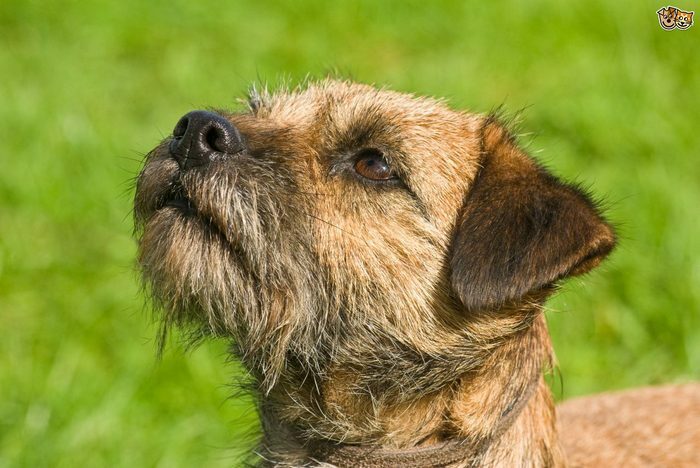 Here’s a list of common health problems that may occur in Border Terriers. Hip dysplasia is a health condition common in Border Terriers wherein the femur doesn’t fit snugly to the pelvic socket of the hip joint. This condition can happen with or without signs and symptoms; you wouldn’t even notice it when you’re grooming your dog. Some dogs, however, may feel pain on one or both rear legs. As time passes by, your dog may develop arthritis. You can have your dog screened for hip dysplasia at the Orthopedic Foundation for Animals (OFA) or University of Pennsylvania Hip Improvement Program (PennHIP). It is important to note that dogs who suffer from hip dysplasia should never be bred. Talk to your vet and ask whether medication or surgery is needed. Overshoot bite – this happens when the upper jaw extends past the lower jaw. This causes grasping difficulties. Severe cases of overshoot bites may cause serious injuries to the roof of the mouth. Undershoot bite – this happens when the lower jaw extends past the upper jaw. 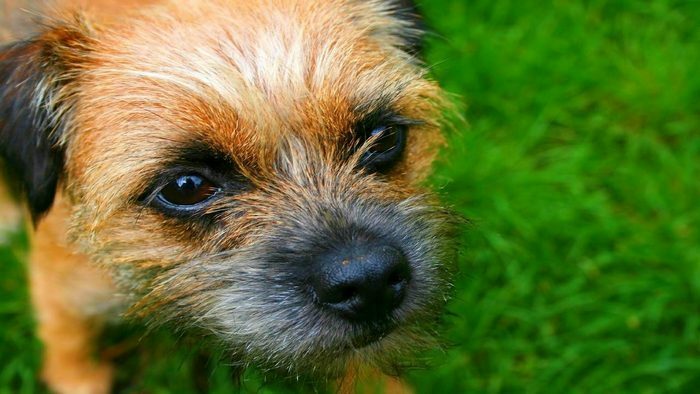 While this is normal in some breeds, it may cause problems with Border Terriers. This may need to be corrected through surgery. Wry mouth – this happens when there’s a twisting of the mouth because one side grows faster than the other. While some puppies can outgrow this condition, there are others that need surgical correction (especially when they’re still not normal at 10 months of age). If this condition is present with your Borders, it is best that you wait until the puppy has become fully grown and matured. Corrective surgeries may include crown height reductions, tooth extraction, or usage of spacers. Dogs with this condition shouldn’t be bred. Hypothyroidism happens when your dog can’t maintain adequate levels of thyroid hormones. Its signs include dry skin, decreased heart rate, thinning coat, cold sensitivity, and weight gain. Have your dog checked the moment he shows at least one of those signs. Note that hypothyroidism is a manageable condition with a lifetime medication that is administered daily. Because this is a disease for the middle-aged dog, you need to ask the breeder regarding the thyroid status of your dog’s grandparents. This will give you idea whether or not his condition is hereditary. Cryptorchidism happens when one or both testicles of your dog fail to descend. If this happens, the testicle will become non-functional and can put your pet at risk for cancer when not removed. When your dog undergoes neutering, your vet will make a small incision to remove the undescended testicle; the normal one will be removed in a regular manner. Seizures have many causes and may happen anytime. Noticeable signs include sudden urination, staring, sudden trembling, slight muscle spasms, and loss of consciousness. Although this condition has no cure, it can be managed with proper medication. Heart defects of any kind may affect Border Terriers. The most common of which is pulmonic stenosis, wherein the valve that separates the right chamber of the heart from the lungs is narrowing. 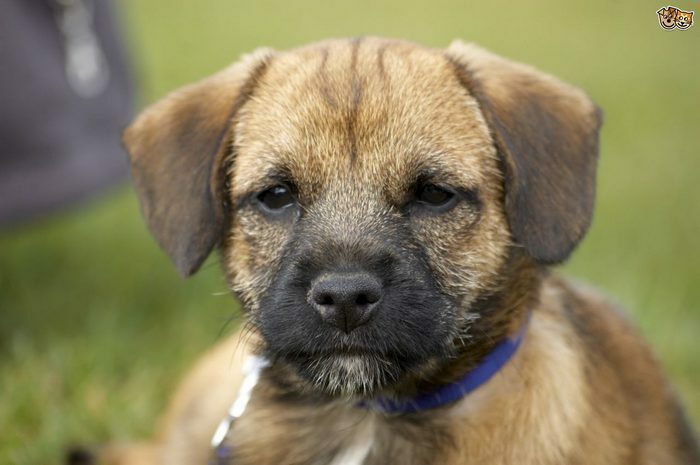 A heart murmur on your Border terrier may indicate that his condition needs to be monitored and treated. Heart murmurs are often caused by a disturbance in the blood flow through the heart chambers. They are graded according to their loudness; with one being faint and six being extremely loud. This is diagnosed through echocardiograms and x-rays. If evident, your dog may need to have a special diet, reduction of exercise, and medication. Before you buy a dog, it would be best if you ask the breeder whether he has used dogs with heart defects during the breeding process. Patellar luxation, also referred to as slipped stifles, is commonly found in small dogs. This occurs when the patella is not properly lined up. The patella consists of three parts: femur, knee cap, and tibia. When there’s patellar luxation, your dog may experience abnormal gait or lameness in the leg. 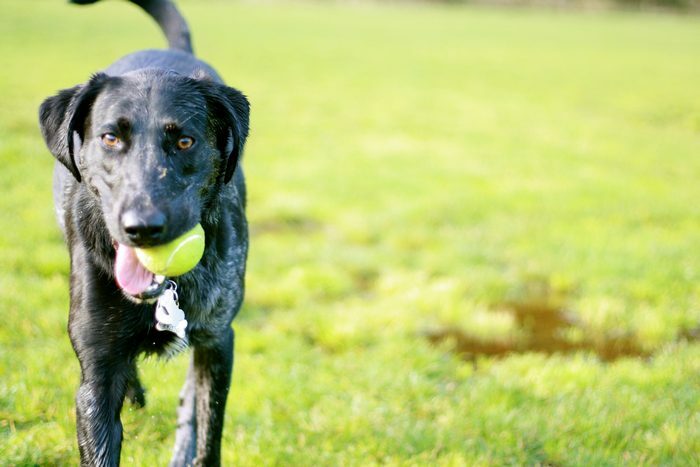 Although the actual misalignment doesn’t always occur until your dog has completely grown or matured, patellar luxation is a condition that is commonly seen at birth. Patellar luxation is graded in four scores; with grade 1 causing temporary joint lameness and grade 4 causing severe turning of the tibia wherein the patella can’t be manually realigned. Severe patellar luxation may require surgical treatment. 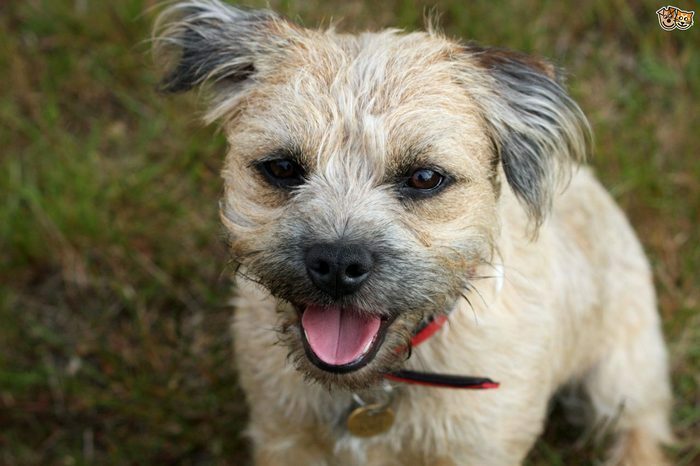 Compared to other breeds, Border Terriers are more likely to suffer from colitis. Colitis is a painful disorder that causes ulcer formation in the large intestine. This results in serious bouts of diarrhea with bloody stools due to internal bleeding ulcers. The Border Terrier is considered to be among the healthiest dogs. However, they may develop disorders that can be contracted or hereditary. The sooner your dog is diagnosed and treated, the better the outcome. While those mentioned above are some of the most common health conditions of Borders, not all dogs would suffer from any of those health issues in their entire lives. You need to remember that no matter how well your dog’s breed may be, there are bad genes that skip generations. So, it would be much better if you get to know your dog’s lineage. Border terriers were bred to help drive foxes out of their hiding places and out into the open. They have a powerful drive to hunt and dig. That is why they would require frequent dog cleaning, especially when they’re in and out of your house. Borders are wonderful pets that loves to play and loyal to their owners. Terrier breeds are good-tempered, affectionate, and obedient. Because they are highly intelligent and fast learners, they are pretty easy to train. While they are affectionate to their humans, they aren’t that much with small animals. That’s primarily because they would think that they are preys. And when it comes to preys, they are fearless and relentless. Like any dog, Borders need to be socialized at an early age; you need to expose them to different people and experiences. 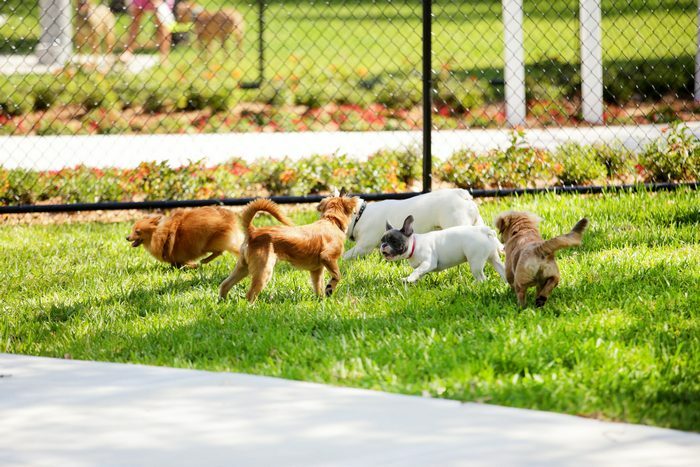 Socialization will help make sure that they will grow up to be a well-rounded pet. There are border terriers that are more work-oriented than the others and some are mellower. But generally speaking, they are energetic and athletic pets. They like to play with interactive games and prefer vigorous exercises. This dog breed is inquisitive in nature that they can end up crawling anywhere. Thus, you need to secure your yard, put them on a leash, or personally supervise them when they play outside. Most Borders are extremely socialized that they happily greet and kiss strangers. 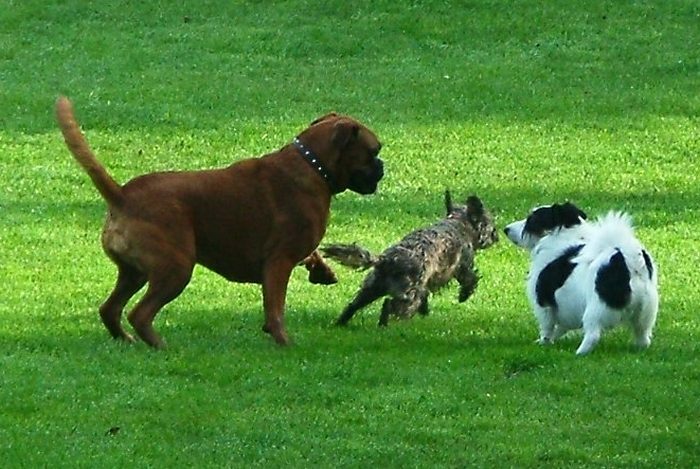 Unlike most terriers, Borders are sociable with other dogs. He may even live peacefully with your pet cat. 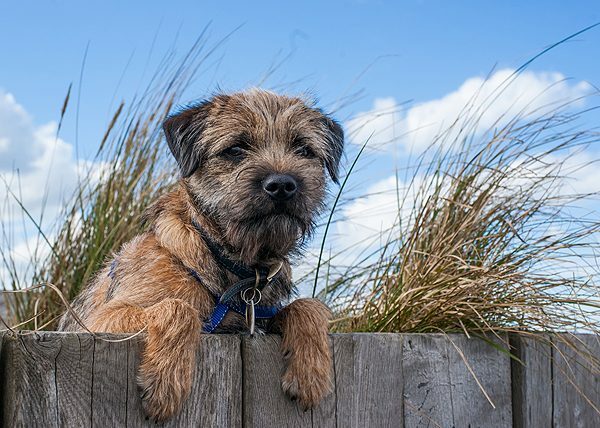 In general, border terriers are very sensitive and they are eager to please their humans that they easily respond to motivational obedience training. 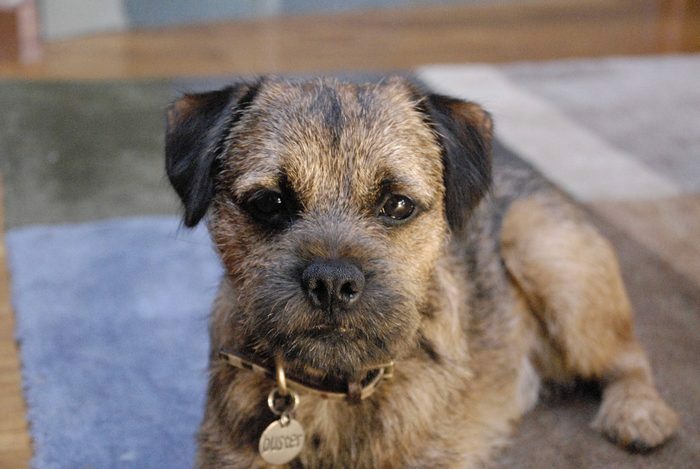 What should you be concerned about when you’re considering Buying a Border terrier? Dynamic terrier temperament. Most terrier breeds have temperaments that make them what they are. They are quick to bark and chase. They are lively, feisty, clever, stubborn, impulsive, persistent, intense, and so on. Animal aggression. While they are sociable with other dogs, Border terriers are still a force to be reckoned with when they accept a challenge or initiate a fight. They have strong urge to chase and seize small running creatures, which may become a problem if you own another type of animal (e.g. cat or rabbit). You can’t trust them off-leash as they can easily run off (not minding your shouts) after anything that interests them. Providing enough exercise and stimulation. Borders are active dogs. Thus, you need to provide regular opportunities for them to release their energy and to use their minds on something interesting. It is important to note that terriers aren’t meant to be household pets. But if you strongly want this dog breed, you should enroll your pet to an obedience class, agility training, or dog clubs. Terriers are very quick to bark when they see a new site or hear a sound. Thus, you have to be fast in stopping them. If you’re working all day and you have neighbors nearby, terriers aren’t exactly an excellent choice for a pet. For the same reason, you should never leave them outside your yard without any supervision. To make things worse, they have high-pitched barks that can disturb some people. Border terriers require regular dog grooming. You need to brush their hair regularly and trim them, as well as clip their nails. Most terriers are great at escaping. They often go over or under the fences to go on a dog adventure. Thus, you may need to install fences that are higher than their size. You may also consider sinking a wire to the ground along your fences to prevent them from digging. It is also an excellent idea to put high quality locks on your gate to prevent them from escaping. Border terriers have a mind of their own. They are eager to work with you than any other terrier breed. They excel at obedience and agility trainings. But their toughness may frustrate you when they decide to be stubborn. Thus, it is of utmost importance that you consistently show them that you mean what you say. Teach your Borders to listen to you through Respect Training. Is Border tTerriers Excellent with Kids? The Border terrier has been popular for being an excellent pet. They aren’t only good with the adults, but they are good with children as well. Compared to other breeds, they aren’t prone to being snappy. In fact when children give much attention to them, they would often seek them out for affection and hugs. As a fun-loving little pet that loves to play active games, they are often good playmates for children. 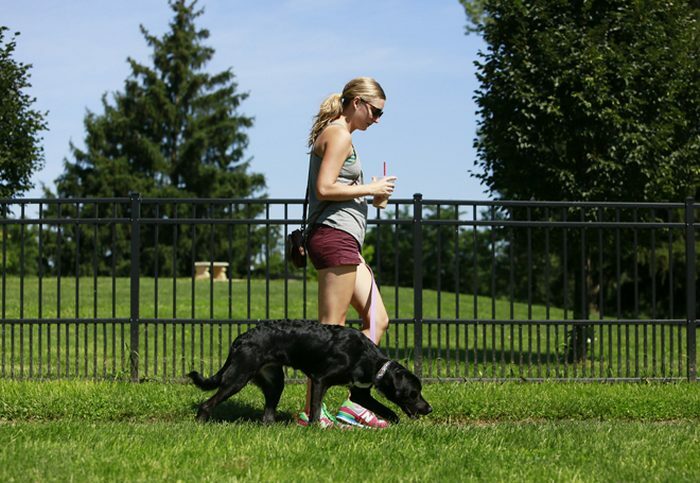 They enjoy activities like dog walking, playing interactive games, as well as roughhousing. Generally, kids who love pets will create strong bonds with these dogs. Although Borders are known to get along well with children, you should always make sure that your child won’t harass the dog. Teach your children to respect the dog and not to treat them as an alternative toy. 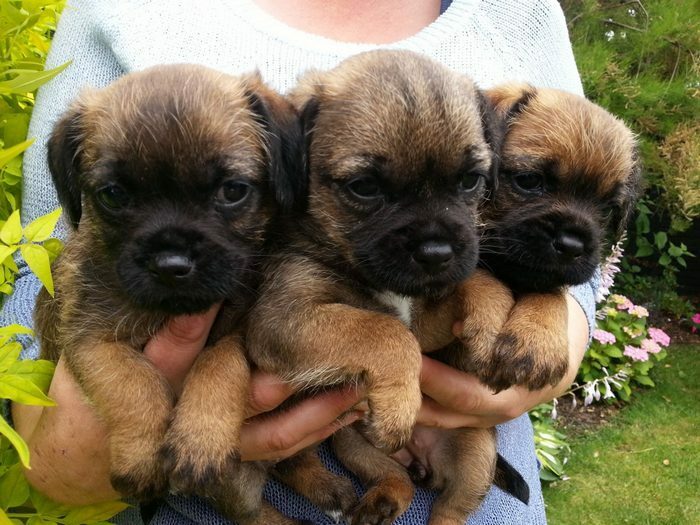 Also, while Border terriers are child-friendly, you shouldn’t leave them with small babies without any supervision. When your Borders are still very young, you should put him in a place where he feels comfortable and safe to rest during bedtime. 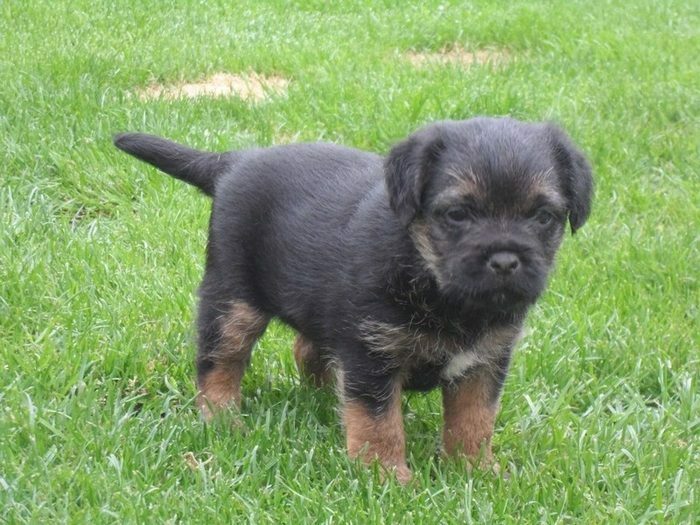 The Border terrier is among the excellent pet choices for those who want to introduce their children to responsibilities and the many benefits of owning a dog. It is also a great pet for all types of families.